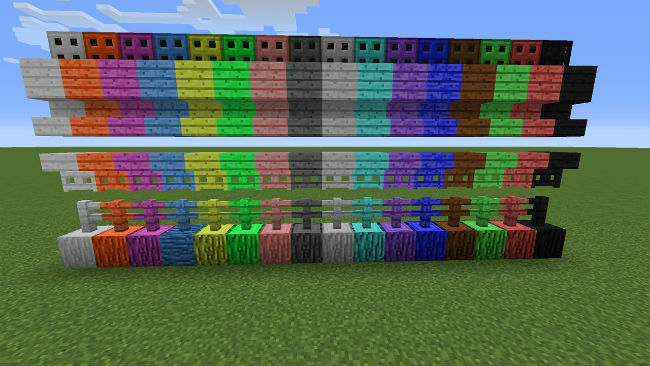 Utilize a wide array of over 600 colored blocks. 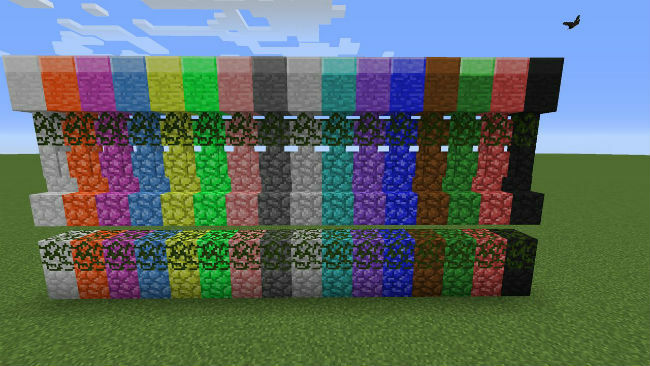 Cobblestone, mossy cobblestone, cobblestone slabs, cobblestone stairs, cobblestone fences, mossy cobblestone fences, smooth stone, stone slabs, Logs, Planks, fences, fence gates, plank slabs, plank stairs, trapdoors, sandstone, carved sandstone, sandstone slabs, smooth sandstone, sandstone bricks, stone bricks, chisled stone bricks, cracked stone bricks, mossy stone bricks, stone brick slabs, stone brick stairs, coarse dirt, dirt, grass, farmland, sand and gravel all come in 16 colors. 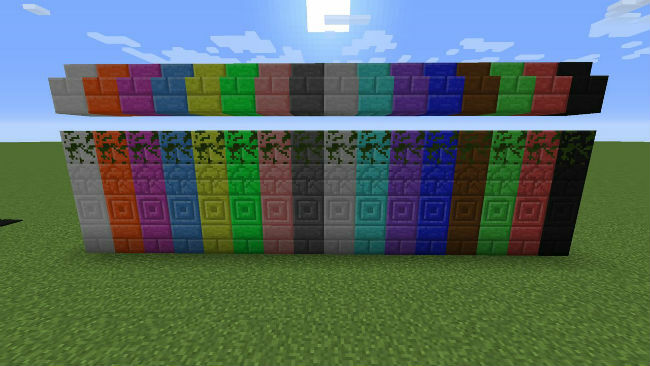 These correspond to the dye’s in vanilla, which can be used to dye any of the original blocks to produce the colored variants. 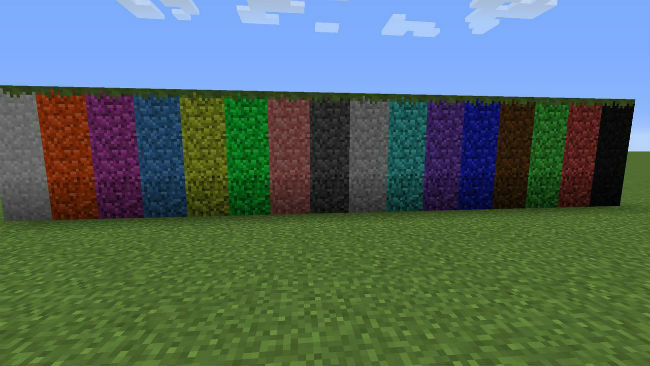 The colored variants can also be re-dyed to new colors. 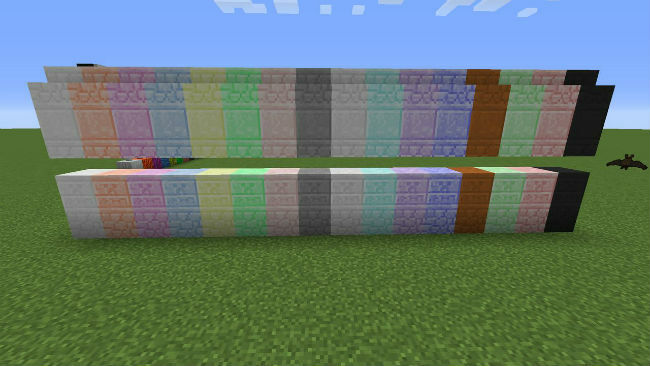 These blocks behave in nearly every way like the originals, including uses in crafting recipes. 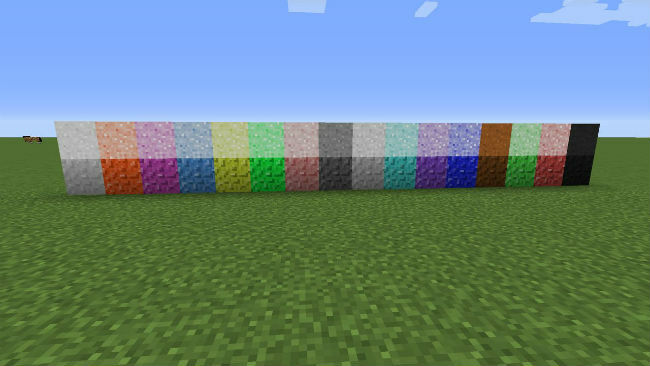 They will also craft into colored variants where appropriate, such as smelting colored cobble into the same color smooth stone, which will drop the colored cobble when mined. 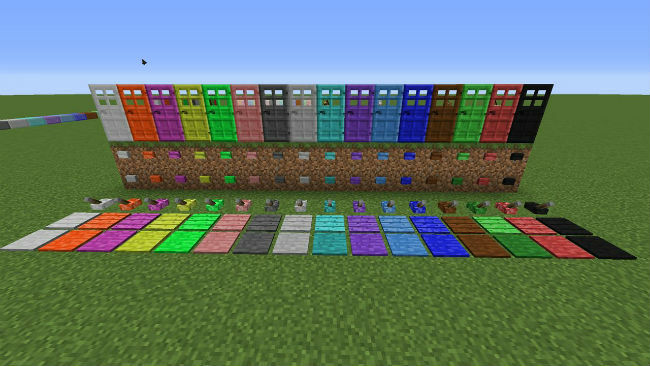 Download the Galactic Colored Blocks Mod from link below.